Had I known that cake rusks could be made at home, bakery style, I would have pestered Ammi to make them every day of my childhood. My research tells me that eating stale bread was a norm in ancient Europe. Ancient Roman soldiers are said to have carried a hard bread known as biscoctus, literally meaning 'twice cooked'. 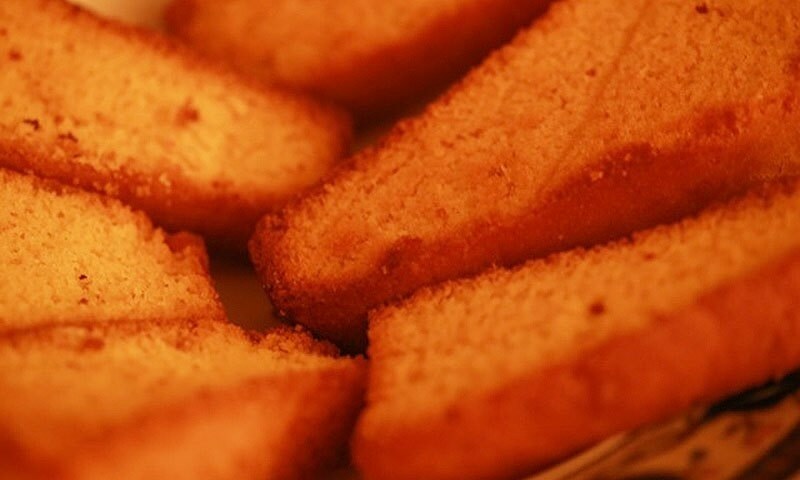 The sub-continental cake rusk may very well be a descendant of the ancient biscoctus. Food historians mention that recipes for foods named rusk began showing up during the reign of Elizabeth I. The Oxford English Dictionary mentions that the word 'rusk' dates back to the year 1595, when referring to a twice baked bread. Rusk is a kind of bread dough incorporating sugar, eggs, and butter. It is shaped into a loaf or cylinder, baked, cooled, sliced and then dried in low heat until hard. Rusks have a very low water content and keep well for extended periods. Sharing a common origin with the modern biscuit, medieval rusks were known as panis biscoctus, meaning twice-cooked bread, and were used as provision for armies and ships at sea. In many countries there are breads that may resemble rusks, in that they are essentially oven-dried bread, whether plain like the Italian bruschetta or of a sweet kind [like the cake rusks of pre-Partition India]; but they may incorporate other ingredients such as spices [cardamom, cinnamon, nutmeg] or nuts. It is said that the earliest modern cookie cakes are from 7th century Persia, since it was one of the first few regions to cultivate sugar, second to the region we know as the sub-continent, our very own home. Sugar spread to Persia and then to the Eastern Mediterranean and Arabia, and with the Muslim invasion of Spain, and the Crusades we saw the advent of the developing spice trade. The cooking techniques and ingredients of India, Arabia and Persia spread into Northern Europe. So we can safely assume that the modern day cakes travelled to Europe from Asia, and then back to Asia, as if it was an import from Europe. In 510 BC, hungry soldiers of the Emperor Darius were near the river Indus, when they discovered some 'reeds which produce honey without bees'. Evidently, this early contact with the Asian sources of sugar cane made no great impression, so it was left to be rediscovered in 327 BC by Alexander the Great, who spread it's culture through Persia and introduced it in the Mediterranean. This was the beginning of one of the first documented sugar and [cake] products of the Middle Ages. 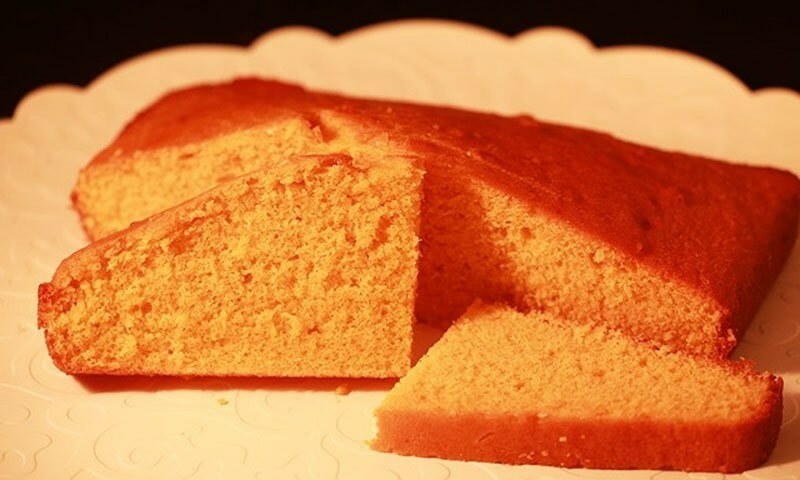 The modern, more refined cake rusk is sliced cake; re-baked, crisped and dried, and it dates to the mid-18th century. These hardened delightful cakes were enjoyed at tea times and were perfect for dunking in evening time tea or milk. These were re-introduced (in their modern form) to the sub-continent from England, where they were popularly served as shipboard fare; dried, tinned or stored for long periods of time. Some historians suggest that the creation of rusks was just a basic need for home-cooks to get away from everyday kneading and to make the bread last longer. It is said that the first rusk was made by a byzantine baker. When the time arrived to make cake rusks, I turned to my Italian Pakistani friend. Needless to say, they turned out delicious, perfect for an evening, of cake rusk and chai. Here it is, from my kitchen to yours. Preheat oven 350 degrees Fahrenheit. Cream butter and eggs in a cake mixer, add sugar and vanilla and mix, adding all dry ingredients and food colouring and mix. Once cake batter is ready, pour it into a greased 8 x 8 inch pan and bake for 55 minutes. Once cake is ready let cool and slice, re-bake directly on the oven rack in a 300 degree Fahrenheit oven for 20 minutes. 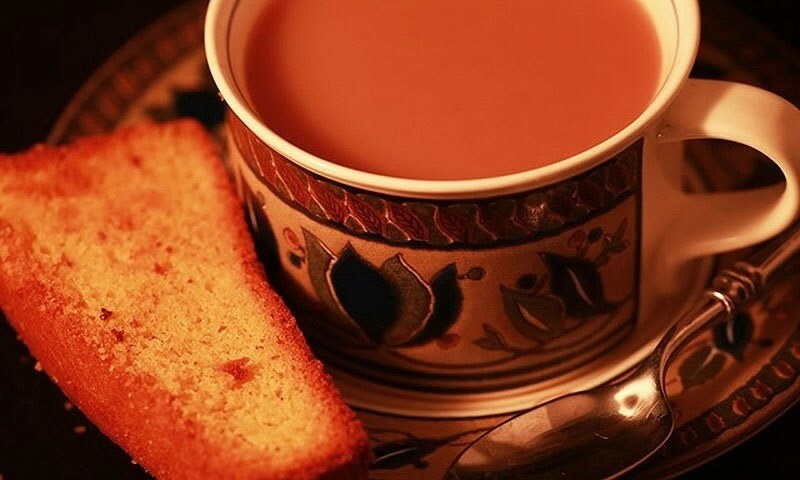 Let cool and harden completely and enjoy with a cup of tea, milk or coffee. Store in an airtight cookie jar. This piece was originally published in Dawn, EOS.